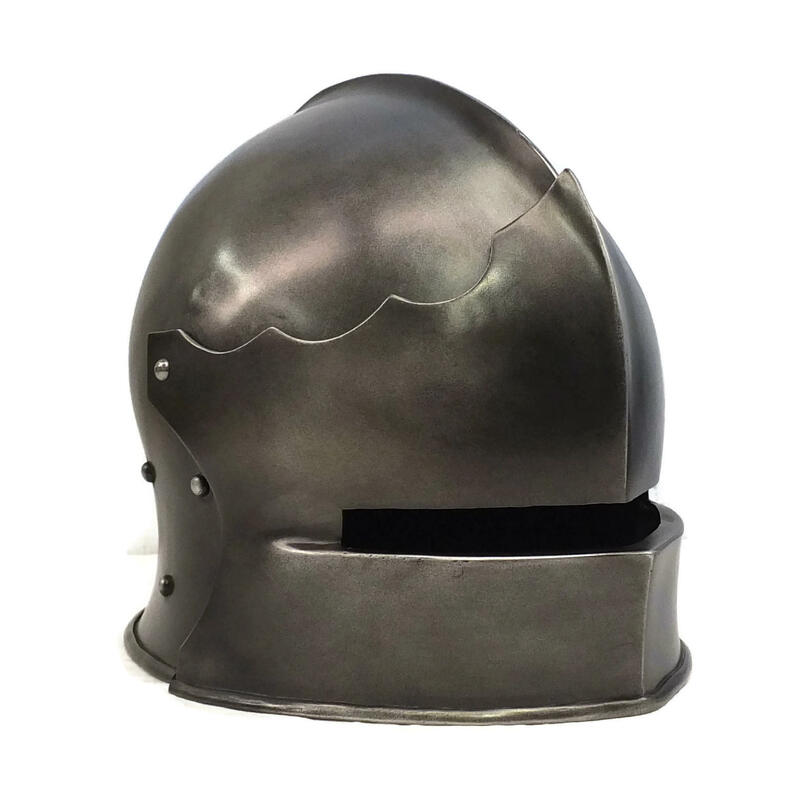 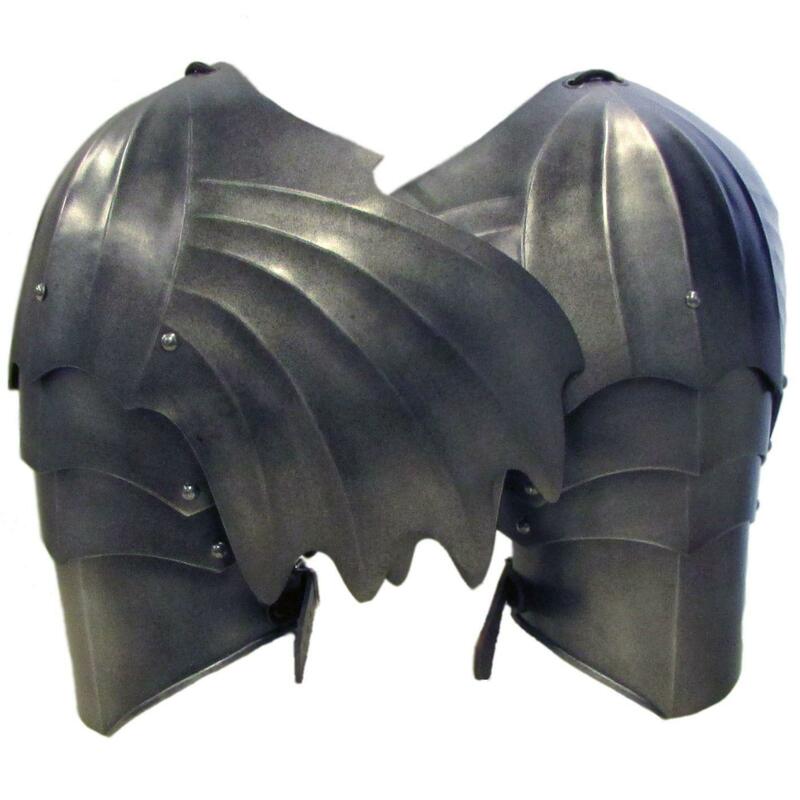 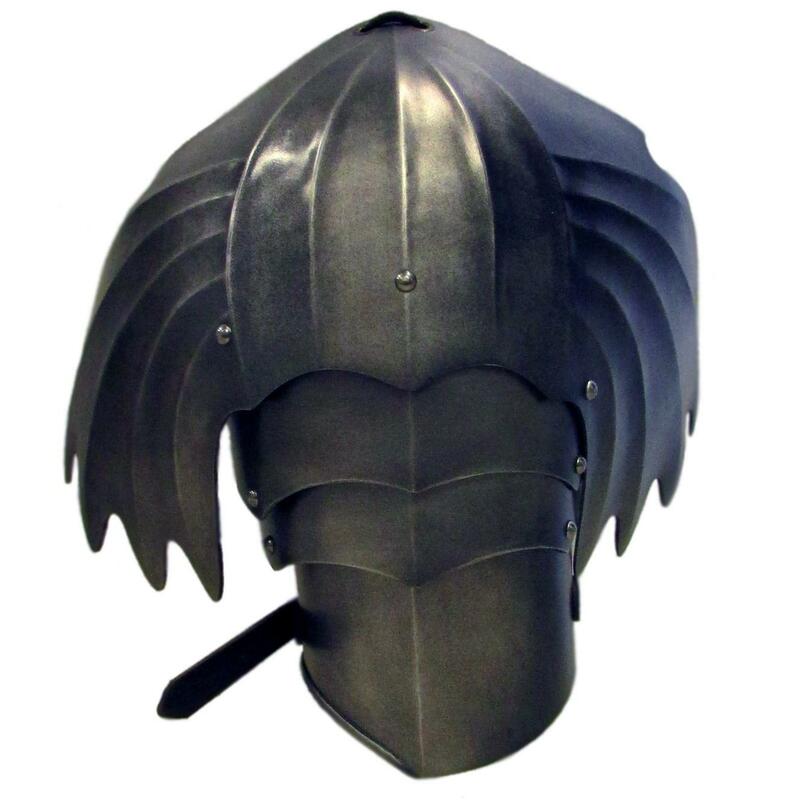 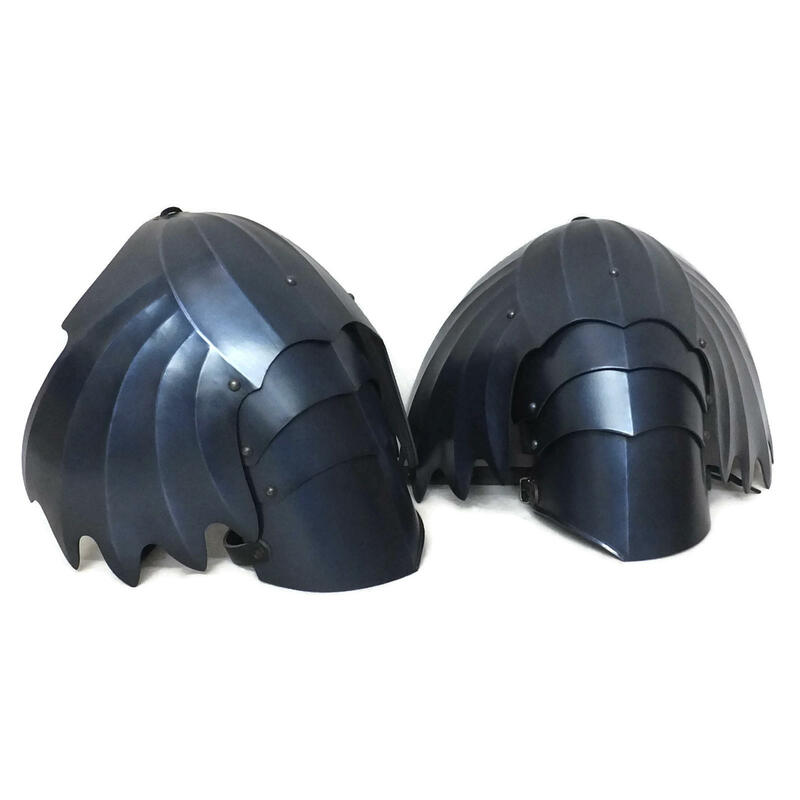 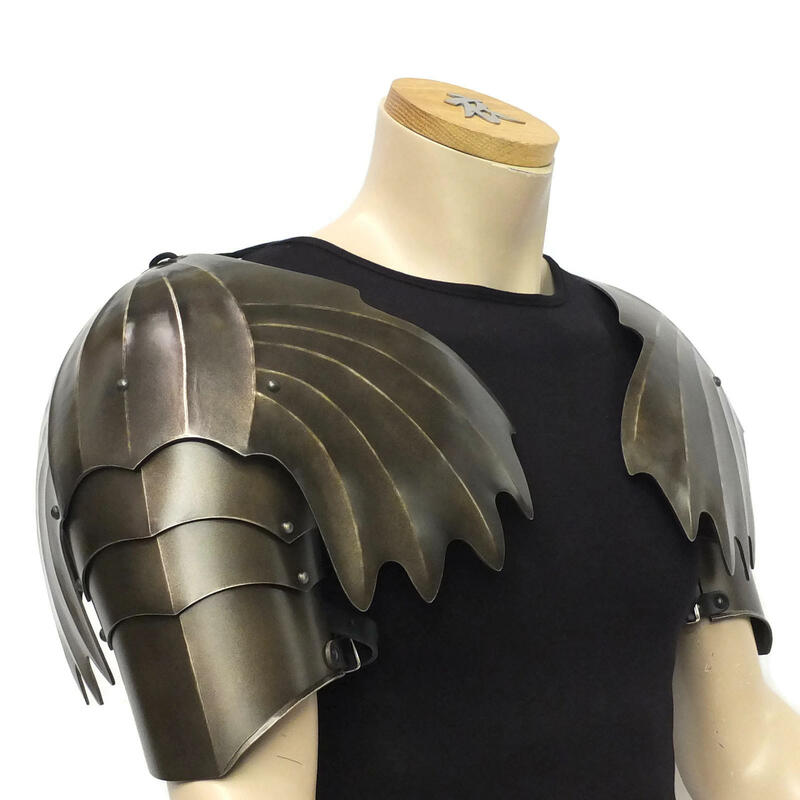 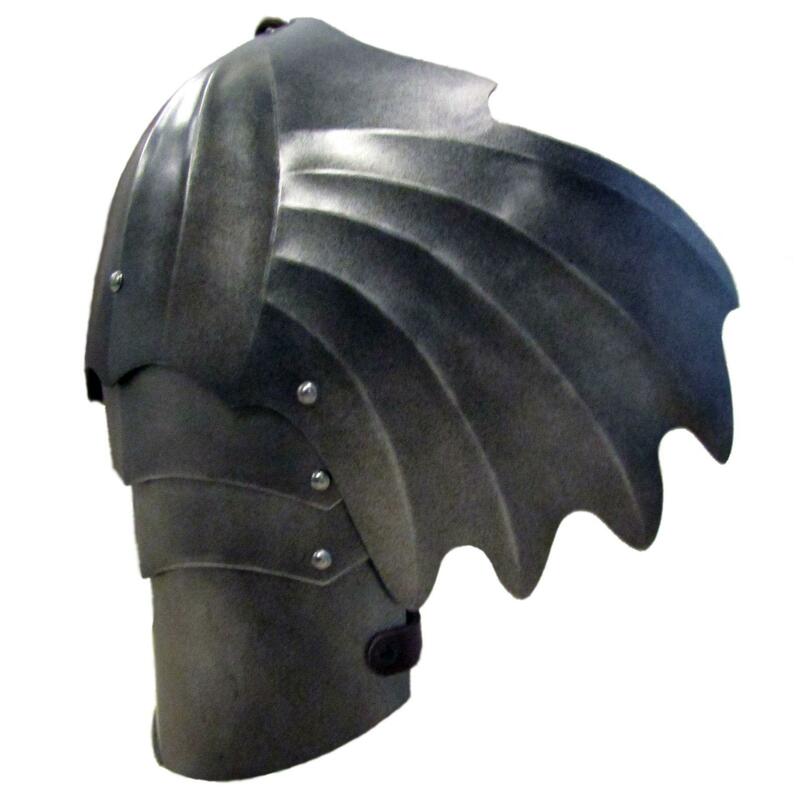 Winged Gothic style shoulder larp armor with separate lames. 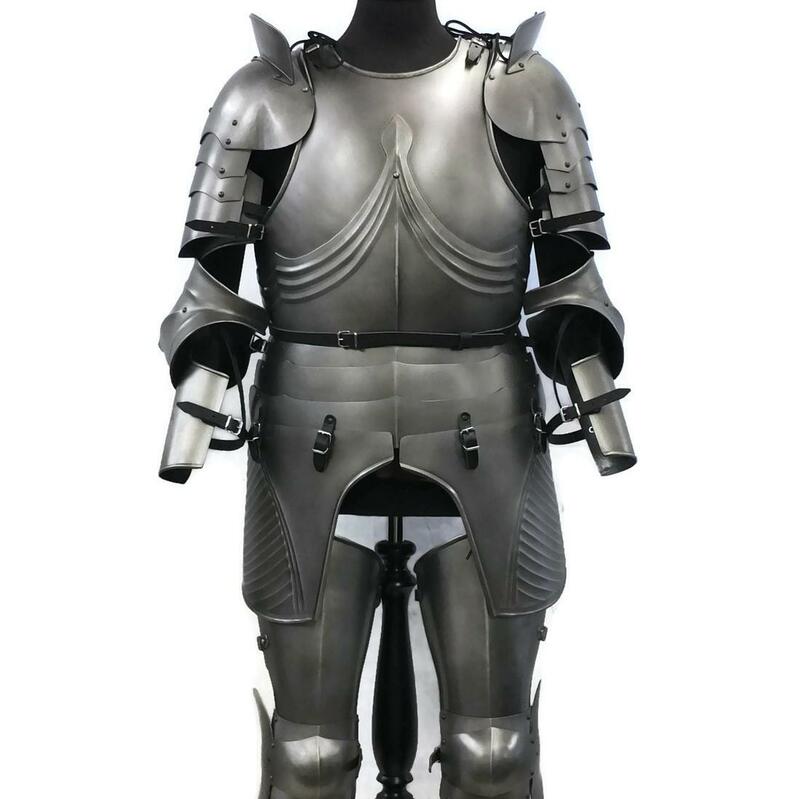 Fully articulated to move with the arm. 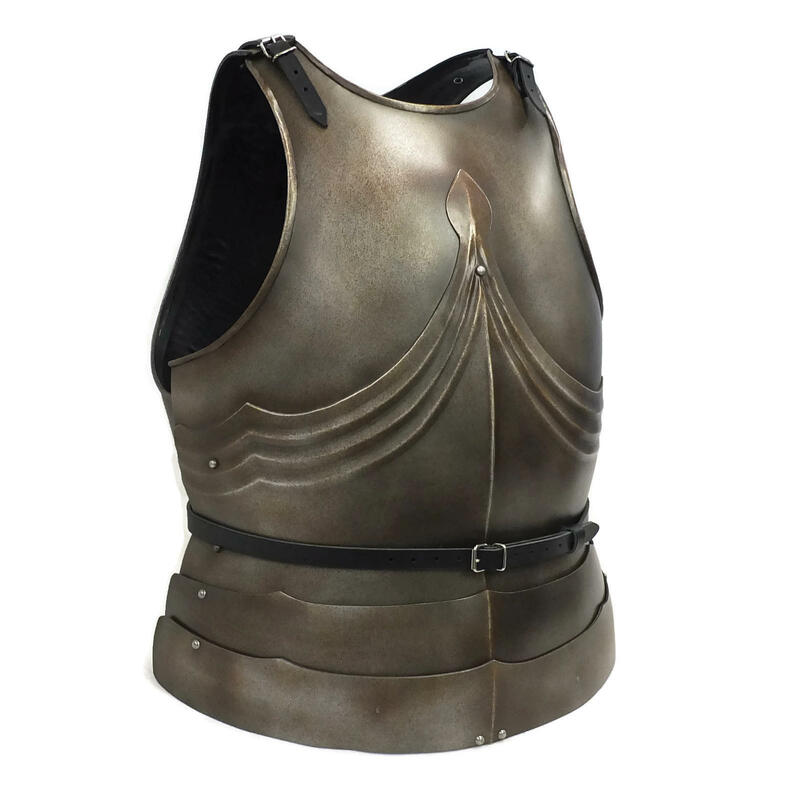 Comes as a pair or single shoulder, complete with shoulder lacing and leather arm strap (non-leather option available).